Chile supports an interesting range of breeding and visiting birds, including nine endemics. This guide features concise, identification-focused text positioned opposite the superb colour plates by Peter Burke and David Beadle to allow quick and easy reference. 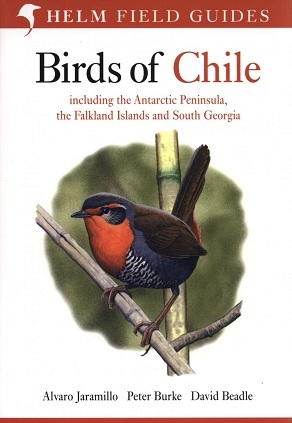 Coverage extends to support the Antarctic peninsula, the Falkland Islands and South Georgia, with over 470 species detailed, including all breeders, regular visitors and vagrants. Introductory sections cover Chile's general ecology, geography, taxonomic issues and conservation.